Overtime, harsh cleansing can be drying and sensitizing, leaving skin red and uncomfortable. As a result, skin needs cleaning that is effective yet gentle and non-irritating. 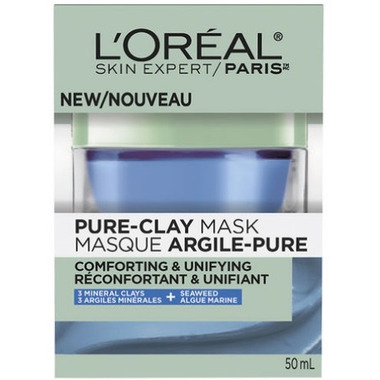 This Pure-Clay Mask addresses your concerns for comforted and unified skin. This mask leaves my face feeling really soft, after use.